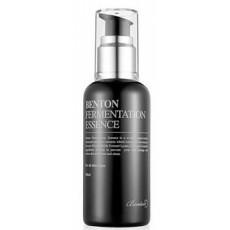 This Premium line of Benton, showcases Korea's innovation of fermented extracts in skincare. This essence is formulated from 2 excellent Ferments: Galactomyces and Bifida. Each of these two works out their individual effectiveness in the skin, but when combined together, they are but extra powerful sources of moisture and antioxidants. They repair, nourish and revitalize tired, dull, irritated and dry skin and improve skin elasticity. Visible fine lines and wrinkles are diminished and skin tone is even out, giving you a much radiant and smoother skin texture. After cleansing face, pump 1-2 doses of the essence and apply to face. Pat it evenly for better absorbtion.